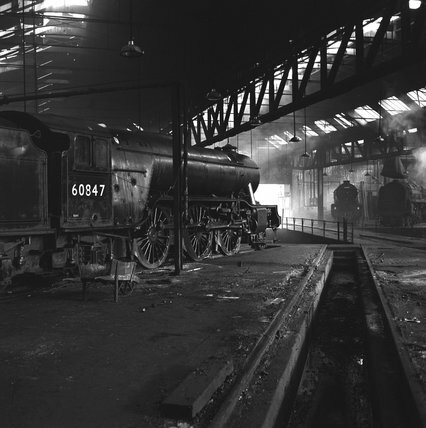 A V2 class 2-6-2 locomotive number 60850 inside York Motive Power Depot, by Eric Treacy, 1951. York has always been closely associated with the railways. The headquarters of the Great Eastern Railway were based in York. York carriage works opened in 1884. This motive power depot now houses the National Railway Museum.